Aleph IT is the most trusted and affordable company of computer repair technician Perth. Our mission is to provide home and business users a reliable and dependable technical support technician. Having a computer in a business becomes a necessity. It does not only make the business operation a lot faster but it provides an avenue for more revenue. When a business is computer- assisted, it becomes so fast in daily operation. Yet, as with any other technologies out there, computers are also subject to malware attacks and malfunction. This may hinder productivity and decrease of ROI. As someone that gives much significance to every second in a business, computer malfunctions need an immediate action. That is the reason why a business needs someone who is adept in fixing computer errors. Having an employed computer technician is not so economical. The better solution is to have access to a company which provides computer technician when the need arises. From PC’s to laptops and Macs from any other brands, we can easily and skillfully handle and fix it. 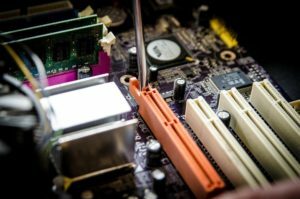 We are a company of expert computer technicians and computer repairs are our specialty. Working with our computer technician means making your computer trouble-free. Our technicians are knowledgeable enough in installing, analysing, repairing, and maintain all forms of computer equipment. We take pride also in repairing servers and network errors. This is to make sure that your computer will return to its stable state. Trusting us will be your best option about your computer concerns. What do our computer repair technician Perth possess? Our computer technician experienced the necessary trainings and seminars to be up-to-date on what is recent in the technical field. Take note: our workers are not merely good on those aforementioned computer repair services, but are also very client–friendly and time conscious. If you get to have deadlines, you surely will receive the service on or before the date specified. We are driven to be among the best technician provider companies and guarantee to give you second to none services. If your computer is giving you unbearable headaches now or slow down the normal business operation, you definitely need us. Call Aleph IT immediately for best computer repair technician Perth. We can bring your computer back to how it was supposed to be like the first time. A trouble-free computer means an income-driven company. Check out Website Support Technician Perth. This entry was posted in Aleph IT Services and tagged affordable computer repair, certified computer repair technician, computer repair, computer technician repair.